Boyce Lundstrom. Tested techniques for pâte de verre, lost wax and crucible casting. 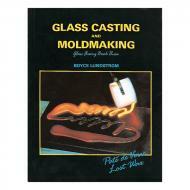 Chapters on castable mold materials, mold formulas, metal, clay, sand and fiber molds. 1989, soft cover, 143 pgs, b&w photos and illustrations, color photos of completed works.